This page is provided for the convenience of CYO Coordinators and Coaches to help identify Basketball Tournaments in the area. 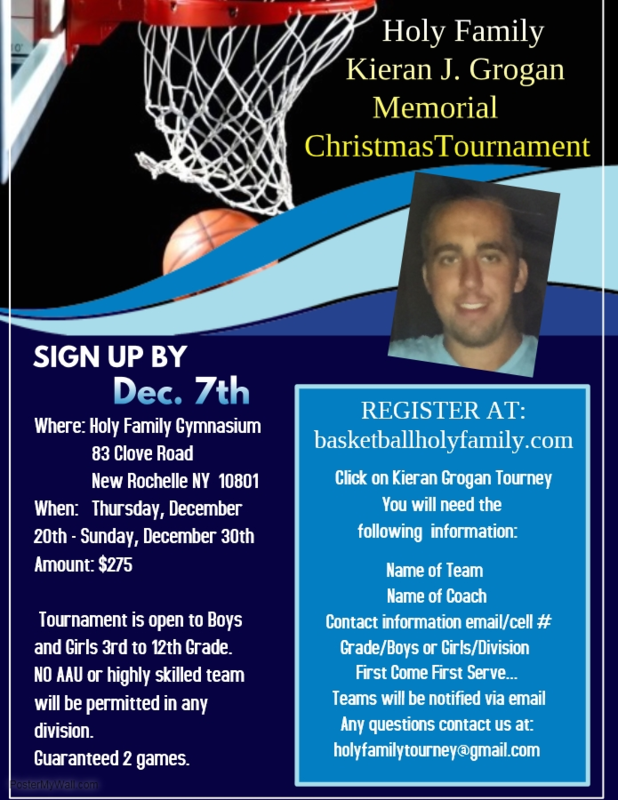 The tournaments listed are not endorsed by the CYO and the list is limited to tournaments hosted by Parishes and/or Schools with teams in a CYO League. A Tournament sponsor may submit information and/or a flyer to be posted on this page using the email button in the upper left corner of this website. Location: Marist College, Vassar College, The Culinary Institute of America, Oakwood Friends School, Todd Middle School and St. Martin School. Dates: Round-robin games on December 8, 9, 15 & 16 and Final Four games on January 4, 5 & 6........work around your county travel schedule. 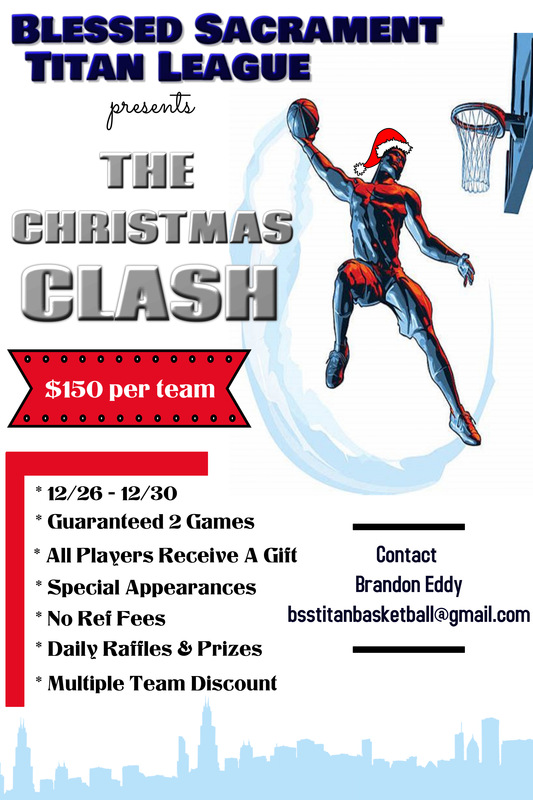 Fee: $175 for a minimum of 3 games while the finalists in each division will play 5 games. Age Groups: 7 divisions: boys 4th, 5th,,6th, 7th and 8th grade CYO travel teams and girls 5th-6th and 7th-8th grade CYO travel teams. Each division will have three four-team pools at a maximum so this tournament can accommodate 84 teams and a total of 147 games. Age Group: 3rd through 8th Grade Girls and Boys, JV Boys, HS Girls. A, B and C Teams Welcome. Cost: $250 per team. 2 game guarantee. Age Group: Boys 3rd, 4th, 5th, 6th, 7th, 8th and 9th Grade. Girls 3rd, 4th, 6th and 8th Grade. Age Group: Boys and Girls 3rd to 12th grade. No “AAU” or highly skilled club teams permitted.